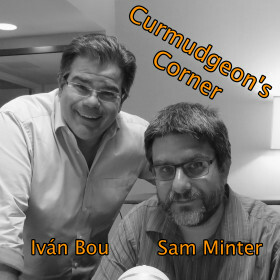 This week on Curmudgeon’s Corner, Sam and Ivan talk the most about voter suppression and Jamal Khashoggi. But they also talk about movies, climate change, that Alpha Bank thing, TV, the space program, using airline miles, upgrading home broadband, and Rosenstein… You know, the usual hodgepodge. They kind of couldn’t stop talking this week. Long show warning! Sam: What the hell is going on with Rosenstein?